When Toyota and Subaru developed the FT-86 (our Scion FR-S) and the BRZ, speculation on hotter versions began before the cars hit the street. Both automakers seemed adamant that forced induction versions weren’t coming, since there wasn’t much room under-hood for turbo plumbing, a supercharger or even an intercooler of any substantial size. The aftermarket was quick to prove them wrong, and blower kits hit the market within a few months of the cars’ release. Now comes confirmation from Automotive News (subscription required), via Autoblog, that Subaru is working on a turbocharged 2.0-liter engine for use in multiple vehicles, including an upcoming BRZ variant. That’s counter to earlier reports that a BRZ-STI would use a tuned-but-normally-aspirated engine. The Subaru will reportedly get a twin-scroll turbo and direct fuel injection developed by Subaru, instead of the Toyota port injection system currently used on both the FR-S and BRZ. Output is expected to be in the range of 280 horsepower and 250 pound-feet of torque, which will go a long way towards improving the car’s performance. While current versions make 200 horsepower and 151 pound-feet of torque, they simply don’t feel that fast in a straight line. 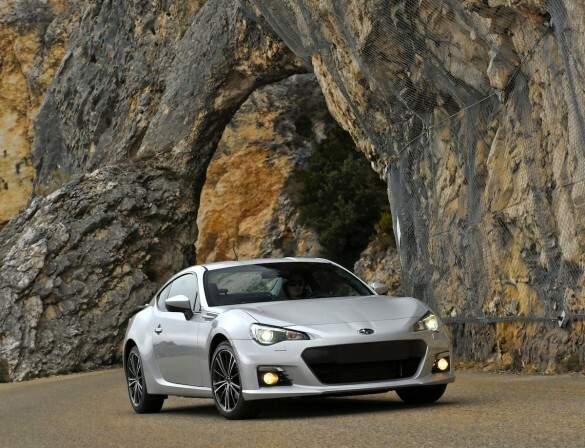 The turbocharged BRZ could appear late in 2013 as a 2014 model. There’s no word yet on price, but we’d expect an STI version of the BRZ (with the turbo engine, bigger brakes, suspension mods and other upgrades) to sticker at around $7,500 more than a base model.